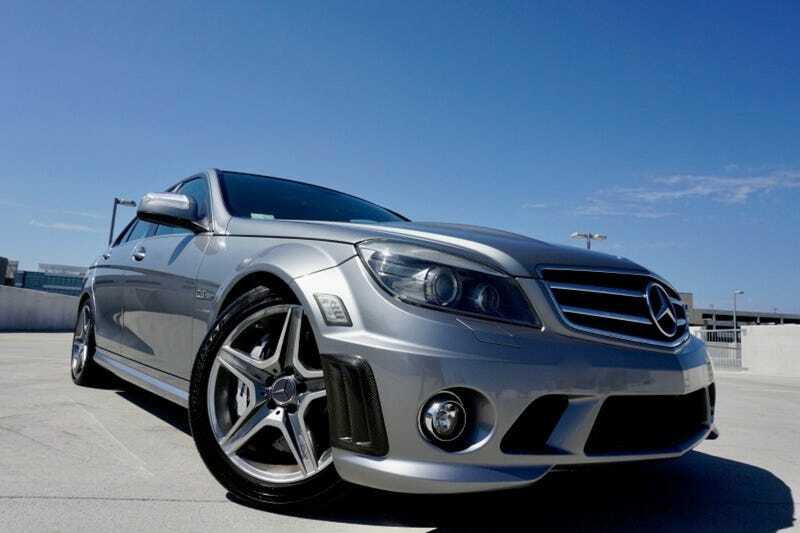 At $19,995, Might This 2009 Mercedes-Benz C63 AMG Be an OMG Good Deal? The dealer selling today’s Nice Price or Crack Pipe C63 says in its ad that the car is FAST FAST FAST. That’s entirely possible, but what we’re here to decide is if its price is too HIGH HIGH HIGH. Think a minute about Moe Sizlack, The Simpson’s choleric drink slinger. Here’s a guy who has a stable job, a seemingly functioning libido, and a full head of hair. Still, owing to his unpalatable appearance and odious personality he’s condemned to a life alone, knowing neither kindness nor the warmth of another’s love without monetary compensation. That’s sort of how I think yesterday’s 2003 Pontiac Aztek must feel. Little loved when new, the oddly styled sort-of mini van hasn’t really gained any fans as it has aged. Even less popular perhaps was the $6,000 price tag affixed to that tent carrying edition, as it fell in an 83 percent Crack Pipe loss. Hey, how’d you like to be the best at something? I mean, just for a minute at least. Perhaps you once managed a high score on some video game and proudly made spectacle of your initials displayed next to it to everyone in the arcade. Or, maybe you just so happened to be the quickest production four-door sedan in the world, at least for a moment in time. Yeah, that’s unlikely, but good luck with that Galaga! Today’s 2009 Mercedes-Benz C63 was in fact, at one time the quickest production sedan around. It’s romper stomper M156 AMG V8 would manage to propel the small sedan to sixty in a tick under four seconds, and upon its introduction that would be good enough to take the crown. It’s specs are still pretty damn quick here, nearly 10 years later. The 6208-cc DOHC V8 was the first production-oriented engine that AMG designed from the ground up. It managed to find its way into a number of Mercedes’ cars, with horsepower varying by application. Here, in the W204 it was anointed with 451 horsepower and 443 lb-ft of twist. That pony count was a good bit higher than the competing BMW M3. The C63 wasn’t just a big swinging you-know-what either. You see those fat flares on the front fenders? Those are there to cover the wider meats rolling on AMG spec alloys, but are also to shield the front suspension which was lifted from the CLK AMG Black. That was wider and more capable than the plebeian W204's, and made the C63 one of the most tactile cars in Mercedes’ history. This one comes in what looks to be Andorite Gray Metallic and that’s paired with a black cabin sporting silver accents. The bodywork on this 92K car looks to be in as-new shape with no apparent curb rash on the five spoke wheels or any obvious peppering of the nose. Quad pipes give the back end some authority as does a subtle lip on the boot lid edge. Inside, you get leather buckets up front that are so deeply dished you might accidentally confuse them with Chicago style pizza. Despite the bear hug bolsters there doesn’t seem to be any ingress/egress wear evident on either. An alcantara accented sport wheel faces the driver’s throne, and behind that sits the flappers for the three-mode 7G-Tronic automatic transmission. The engine bay is packed tighter than Kate Upton’s bikini top, and lacks much of the plastic frippery that modern Mercedes engines generally sport. Here instead you just get the business end of the big naturally aspirated V8. A bare metal intake with a plaque carrying the engine builder’s signature sits atop it, while a pair of huge carbon fiber plenums bracket that. Good luck finding other elements in here like the coil packs or even the dipstick loop, it’s just that crowded in there. But that’s okay. This engine was hand-built by a trained and methodical AMG assembler. You’re not going to sully it by laying your greasy mitts on it in the service of oil changes or—god help you—replacing the plugs, are you? No, this, like all German performance cars of the past two decades, really requires a knowledgeable hand in its maintenance and repair. Hopefully the latter won’t be needed any time soon. The low miles and clean Carfax indicate that this C63 may have lived a charmed life. That life is now two owners deep, and for $19,995 you could put a third notch on its metaphorical bedpost. Should you, or anybody do that? These are brutal, capable cars, but they are also a decade past new and made out of parts that are the reason Mercedes dealers stay in business. Do you think this C63 could command that $19,995 price as presented in its ad? Or, despite having once been the quickest, did that price make you quickly lose interest? Austin, TX Craigslist, or go here if the ad disappears. At $6,000, Could This 2003 Pontiac Aztek Make You a Happy Camper?